Known for their comedy lyrics and satirical style, Tenacious D are the Greatest Band in the World. Tenacious D’s HBO variety series first aired in 1999 with a self-titled debut album following in 2001 – the album has since been certified platinum. 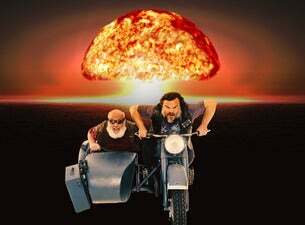 By 2006, Tenacious D has completed their first feature film together, Tenacious D in the Pick of Destiny and a second album, Rize of the Fenix, was released in 2012. The band’s hits include Wonderboy and Tribute and the duo return to the UK for a huge show at The SSE Arena, Wembley, this June.